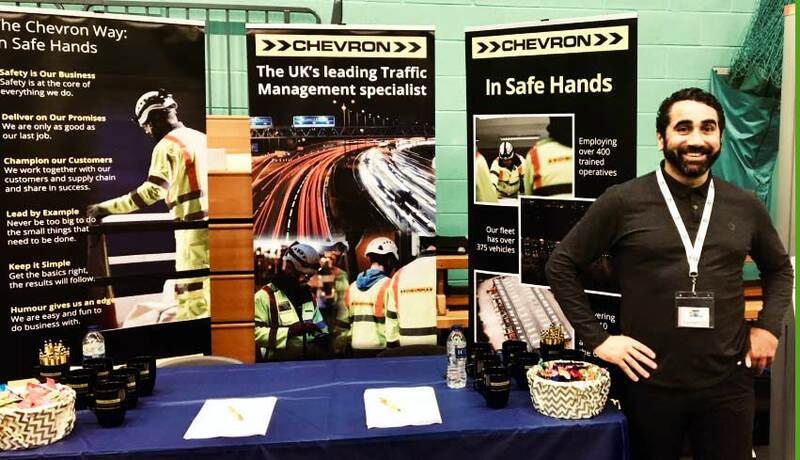 Since 2015 Chevron have successfully recruited over 150 new trainees into the industry and 38 of these trainees have been Ex-Armed Forces Personnel; Bringing these individuals into the highways sector, we find immediate transferable and technical skills along with key experience from high-pressurised situations. Our commitment to building competence, capacity, and capability through recruitment and training initiatives such as this one led to Chevron winning the 2015 HE Supplier Recognition Award for ‘Building Capability and Capacity’ as well as the 2016 Chartered Institute of Highways and Transportation ‘Skills Development Award’. We are now very pleased to have appointed a full time Resourcing and Development Manager, Sarah Chatterley, to ensure we continue to champion Chevron as an employer of choice within the Traffic Management and wider Construction market. As a socially and demographically diverse business, Chevron are committed to presenting opportunity for all, opening our employment reach to the widest possible audience. Our partnership with BFRS is one such initiative aimed at supporting ex-military personnel with their transition into employment opportunities out side of the forces. For recruitment enquires email sarah.chatterley@chevrontm.com or contact us via the careers page on our website.